Dentures are removable appliances that replace missing teeth, gums and bone. They have been around for centuries. In the past they used human teeth, removed from dead soldiers on the battle field, to place on a denture base. These human “donations” still decayed. 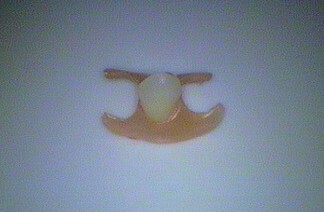 Today we have denture teeth that are natural and function well and don’t “rot”. They are no replacement for natural teeth but they do help greatly. 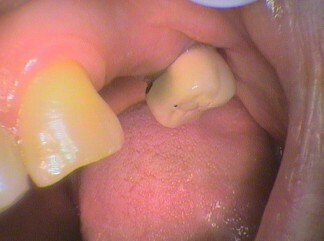 With implants, dentures can be connected to the bone for greater stability. Dentures can be a long term solution or an interim treatment till the body heals or maintains the stability of the mouth until, for example, an implant retained tooth can be made. 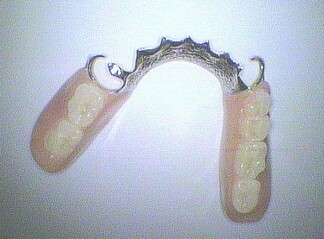 The aim is that people do not know you have a denture. There are three main types of denture – metal, acrylic (plastic) or flexible (one brand is Valplast). However a denture is best placed in a healthy mouth and must be maintained and cleaned. A proper treatment plan for the whole of the mouth should be done before placing a denture. However, dentures will not adapt themselves to a changing mouth, and further procedures may be needed to be done to make allowance for these changes. It is not a “set and forget” treatment. 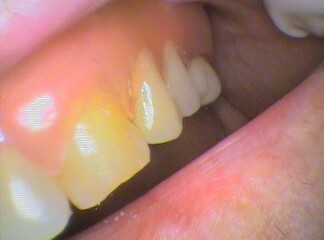 A typical example of changes is when a person loses weight, the bone and gum can recede causing the denture to loosen.